A miner accused of stealing several phones from different persons and refusing to pay for expensive taxi rides was remanded to prison when he appeared at the New Amsterdam Magistrate’s Court yesterday. 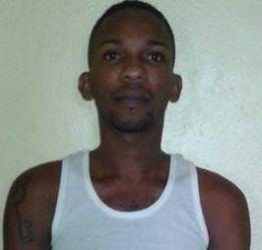 Oswin Archer, 25, a miner of Lot 5 Cumberland Village, East Canje denied charges of simple larceny and obtaining credit by fraud and was remanded to prison by Magistrate Sherdel Isaacs-Marcus. 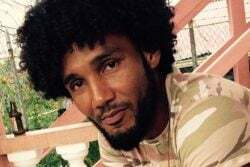 Police prosecutor Inspector Phillip Sheriff told the court that Archer committed the offences in April and June within the New Amsterdam district on Kenno Thompson, Lincoln Bymore, Milroy Daniels, Corrine Jackson, and John Shivbarran. According to the particulars of the matters, on June 6, Thompson met Archer while at a bar on the New Amsterdam stelling road. Archer allegedly asked Thompson to lend him his Samsung Galaxy S4 cellular phone valued $85,000. He reportedly told Thompson that the environment was too noisy and stepped outside. However, he fled with the phone. After stepping outside, Archer hired taxi driver John Shivbarran to take him to Georgetown and back at an arranged cost of $22,000. However, at the conclusion of the journey, Archer refused to pay resulting in the charge of obtaining credit by fraud. Meantime, on June 22 at Winkle bar, Archer is alleged to have played a similar trick on Encousi Gillis. He borrowed Gillis’ HTC phone valued $65,000, and vanished with it. He is also accused of failing to pay Gillis, whose taxi service he utilised to drive him around the town at a cost of $15,000. During the drive with Gillis, police said, Archer stopped at the Intersection Bar at Smythfield, where he obtained 13 GT beers, a bottle of Guinness Stout, a serving of fried chicken and cigarettes totalling $4 360, the property of Corinne Jackson. Archer is also accused of stealing a Samsung Galaxy S3 phone valued $43 000, the property of Lincoln Bymore. Sherriff objected to bail being granted and told the court that investigations are ongoing as several similar allegations were made against Archer at the Whim and Springlands districts on the Corentyne. He said more charges will be instituted against the defendant as more complaints are also being made in the New Amsterdam area. The matters are fixed for report on July 15.